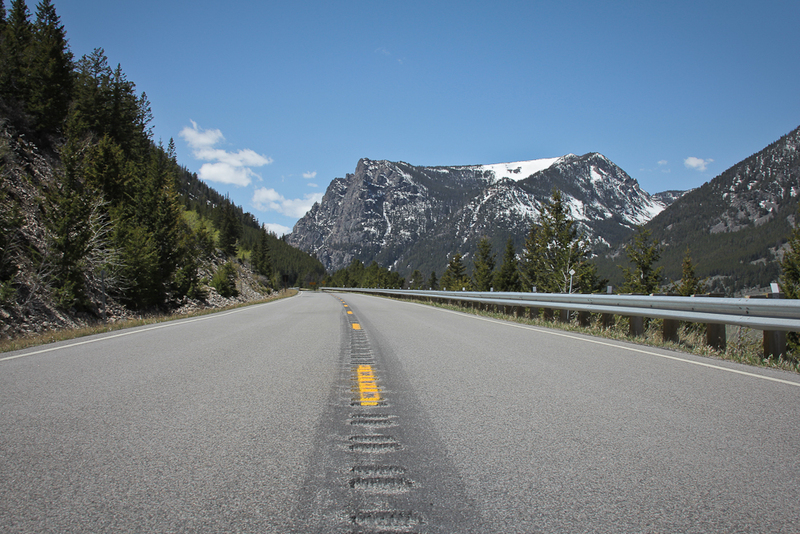 The Beartooth Pass leaves Red Lodge, Montana, at about 5,500 feet and rapidly switchbacks to top out over 10,500 feet. No hint at this point just how much snow is at the top. 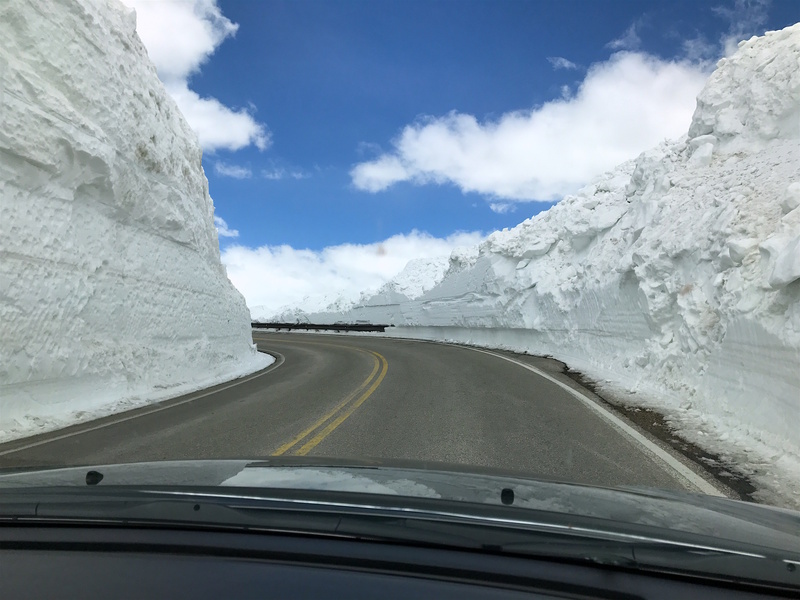 This spring, after decades of low snowpacks, I was shocked by the depth of the snow carved out by road crews getting the Pass ready for opening day. 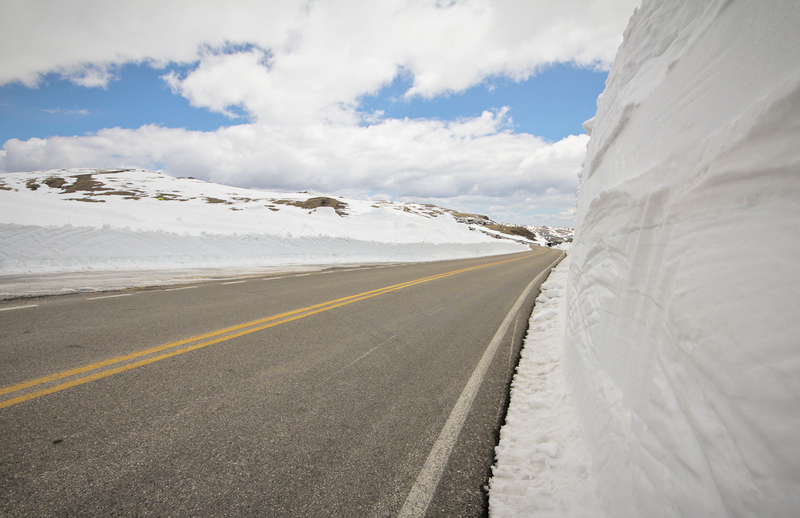 In some places, forty-foot tall walls of snow towered over the highway. The epic scenery was blocked for miles at a time. Rather than disappoint, the altered state of the Pass was a thrill to drive. The road was even narrower. The corners tighter. Even at 25 miles per hour, I felt like Luke Skywalker flying down the trench of the Death Star, walls blurring past. And then, along the edge of a cliff, the snow would disappear and miles of jagged, snowy peaks would crowd the horizon. At the top of the first set of switchbacks the snow becomes visible. The highway cuts right across the snow at the top of those peaks, and then continues to climb deeper into the mountains. It’s a marvel of engineering that the crews can get this road open anytime before August. Every year, they get it open on Memorial Day weekend, sometimes tunneling through forty-foot drifts. I found myself captivated by the change in landscape as if it was the first time I’d ever driven the Pass. Every turn brought a new sight. Hordes of skiers and snowboarders skittered down chunky slopes. Familiar lakes were erased by ice and snow. I used pull-outs I hadn’t stopped at in years. 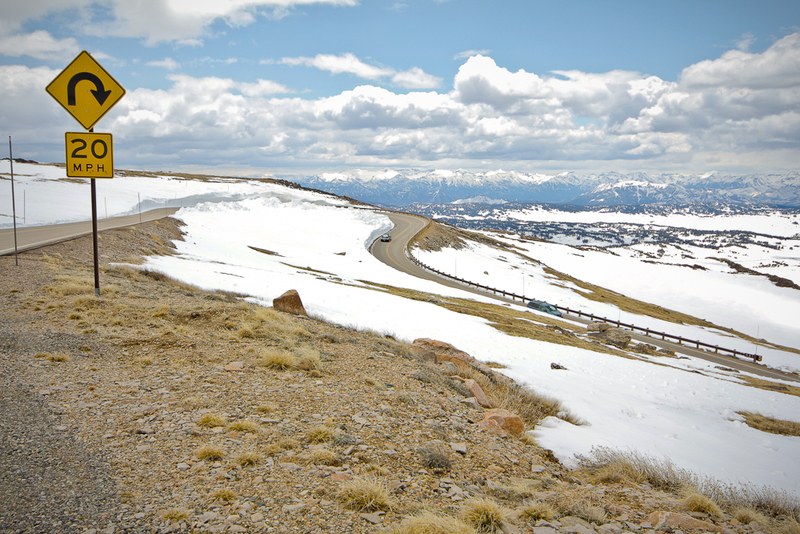 The Beartooth Highway winds its way through a 10,000-foot-high plateau of snow drifts and wind-swept tundra. 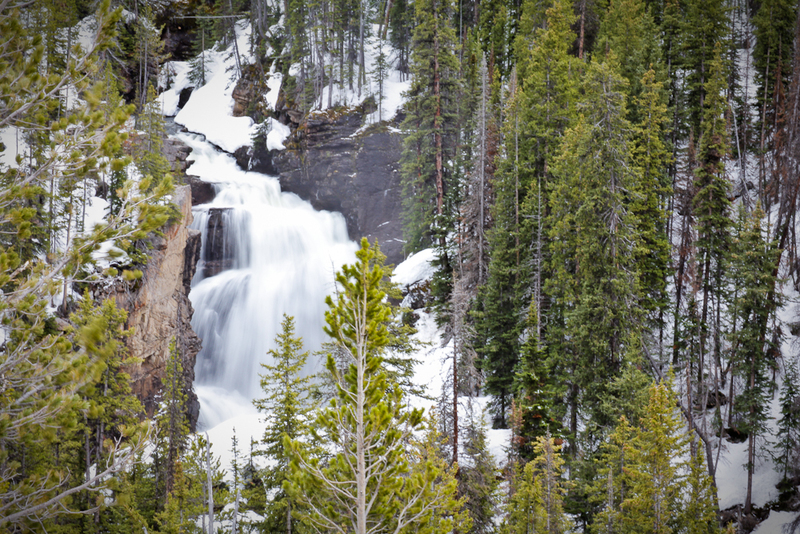 Beartooth Falls at full run-off. The high level of snowpack means that this falls will probably be raging all summer. 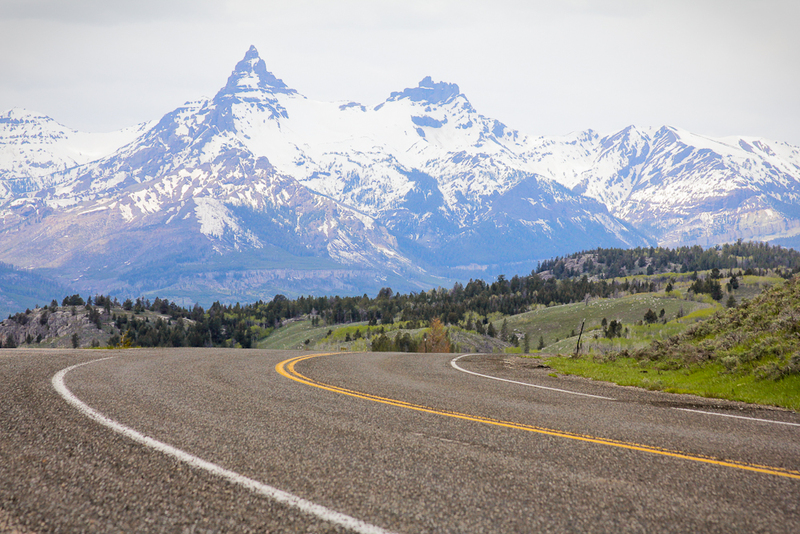 Pilot and Index Peaks mark the border with Wyoming near the edge of Yellowstone National Park. 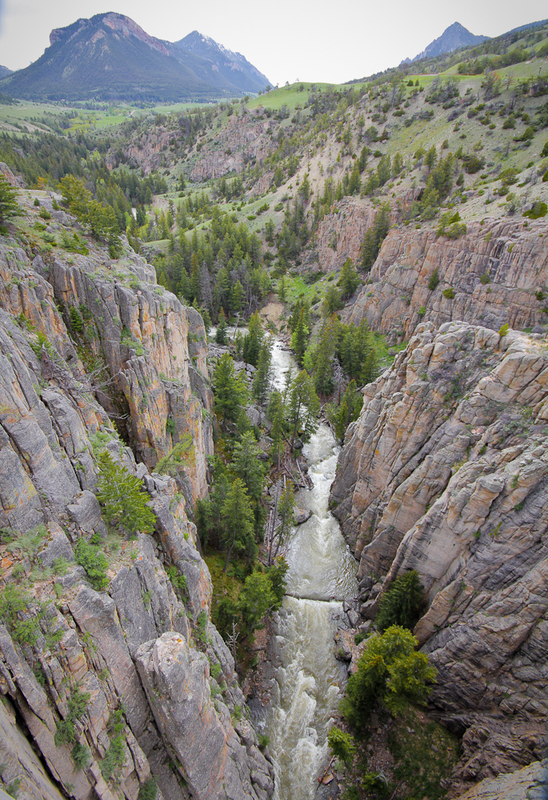 Clarks Fork Canyon was carved out by eons of snowmelt cycles. 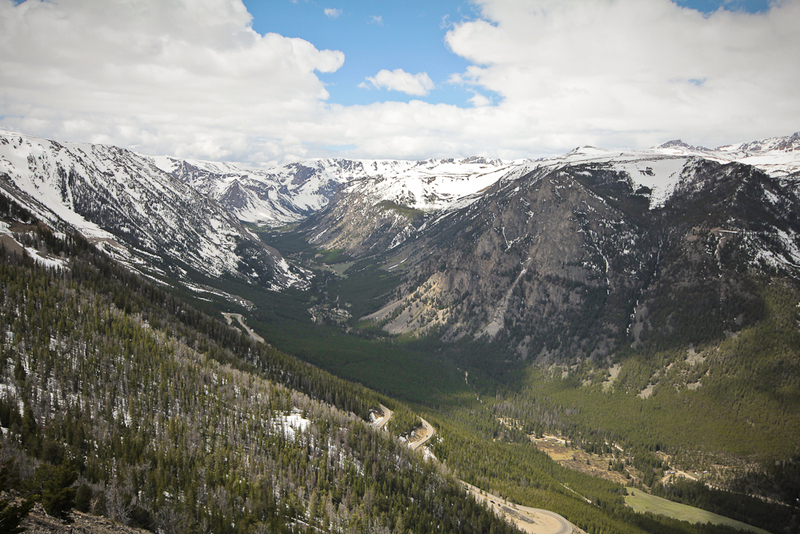 Turning off the Beartooth Pass onto the Chief Joseph Scenic Byway traces the runoff from 12,000-foot peaks 7,000 feet down to the desert floor near Cody, Wyoming. As travelers, we pine for long-distance destinations because they’re guaranteed to show us something we’ve never seen before. The mantra of “been there done that” has become a trap, as if experiences only come to people who seek out the new. But sometimes something new is actually just something old seen in a new light. A summer destination’s character may be far different in the off-season. Or it can be as simple as a familiar, dilapidated barn along a highway that finally collapses between drives. Occasionally, an epic snow year transforms a favorite mountain pass into a gorgeous new landscape. Being open and observant lets you turn even the most familiar places into new adventures. I love the idea of returning to places we’ve travelled before. Great post.